Please help us safeguard a medieval Green Lane from damage! There's another historic byway under threat - Seggimire Lane (4 miles SW of Whitby, near Littlebeck). This medieval track cost over £26,784 to repair in 2015 after damage from 4x4s and scramble bikes, and it's now a lovely path suitable for walkers, cyclists and horse-riders. North Yorkshire County Council is currently allowing motor-bikes to use the lane downhill only as an experimental traffic management scheme. However, it is steep, narrow and winding, with no passing places and poor sight-lines. Motorbikes have already been spotted using it in both directions (despite the current order) and horse-riders are afraid to go there at weekends in case they meet a trail-bike. The consultation ends on May 25. 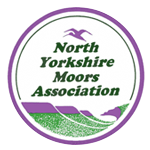 Please support NYMA and the North York Moors Green Lanes Alliance by emailing area3.whitby@northyorks.gov.uk to express your views (include your reasons and your name & address). There are background documents here and here, and a map here. You can email using the form here, or post it to NYCC, Area 3 – Whitby Office, Discovery Way, Whitby, YO22 4PZ. The aim is to get the Council to create a Traffic Regulation Order prohibiting all forms of motorised vehicles, since this track was not created for them and they are inappropriate and damaging. And you can be absolutely certain that the trail-bikers - who are very well organised - are opposing any form of control!